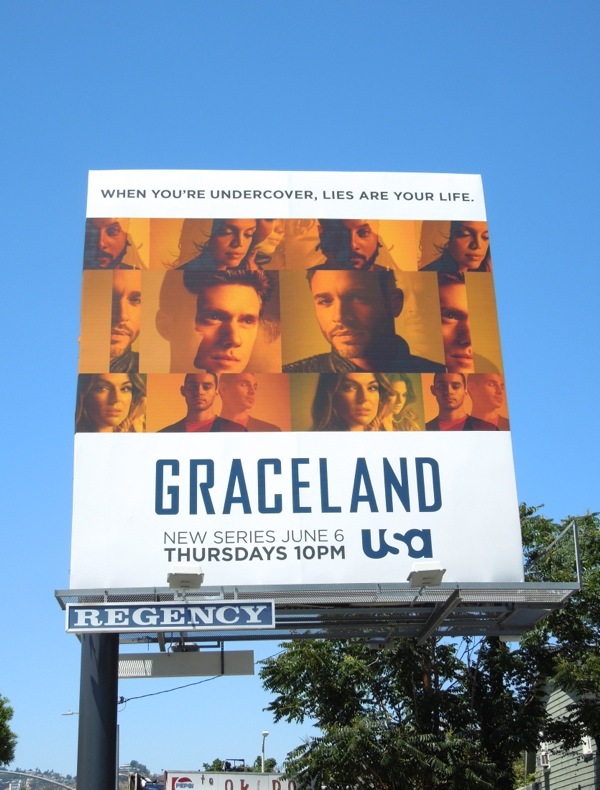 In a new spin on the cop show genre, Graceland follows the lives of a group of agents from various U.S. law agencies, FBI, DEA and U.S. Customs, forced to live and operate out of a Southern California beach house as part of an undercover operation. 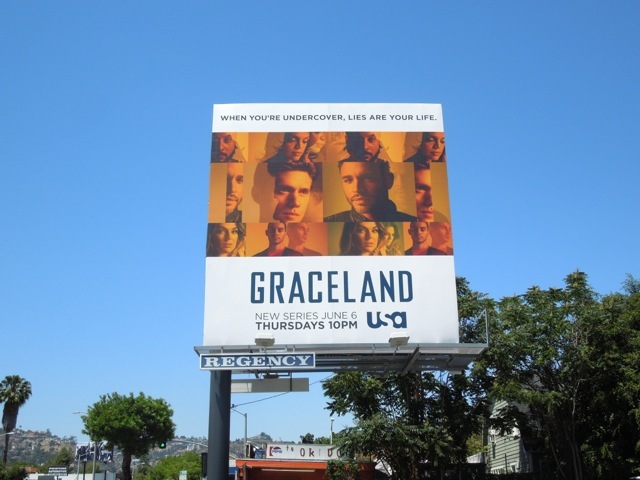 The beachfront property, and series, got its 'Graceland' name because the drug lord it was seized from was a huge Elvis fan. 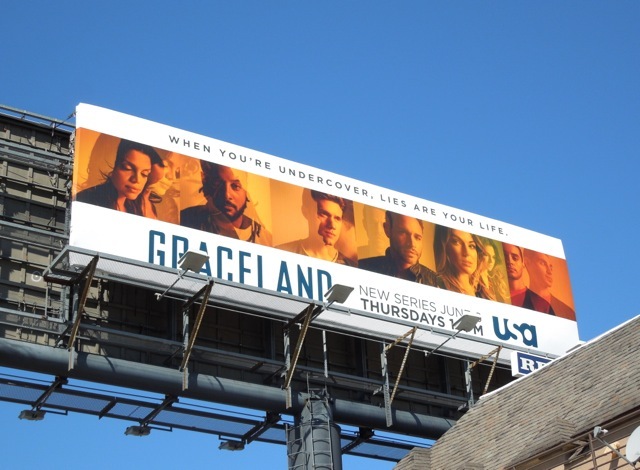 Fortunately in this world of secrets and lies, all the inhabitants are beautiful, young people, so it should make the drama easy on the eye at least. 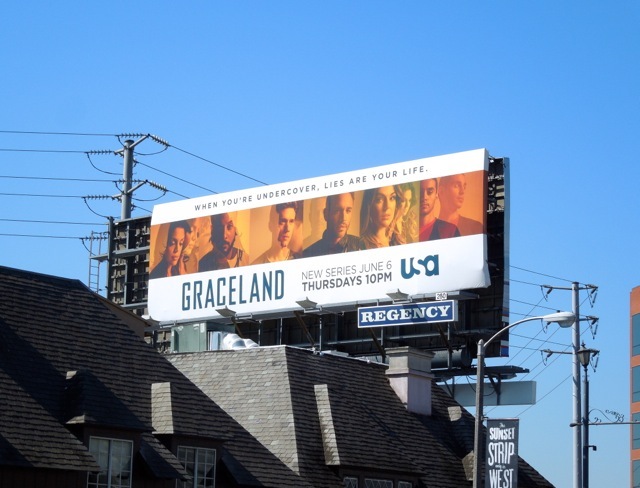 These billboards for the new USA Network show were spied along Sunset Boulevard and Fairfax Avenue on May 13, 2013.